A fine looking copper and iron ritual phurba or kila. Hand crafted by a Tibetan family who have been making ritual phurbas for more than 50 years. Iron is notoriously difficult to carve and these kilas have been worked entirely by hand. It has taken the maker 8 months to create just eight phurbas for us in this quality, so this should give you some idea of the time and effort required to finish each piece. This is usually the kind of work commissioned by high Lamas and monasteries and therefore not readily available in the marketplace. The actual design of this Phurba is based on examples dated to the 15th Century and today they are usually only seen in museum collections. The two metals work beautifully together and they will develop a lovely usage patina with the passage of time. The faceted three sided blade is held in the mouth of the mythical sea dragon known as Chu-Srin in Tibetan or Makara in sanskrit. It represents the power to transform the "three poisons" or kleshas into wisdom. The three deity heads at the apex represent the three kayas and inwardly represent the three channels of the body. On the handle of each Phurba is a nine prong vajra. The nine pointed vajra always has an axial central prong and eight curved outer prongs. The eight outer prongs symbolise the Eightfold Noble Path taught by the Buddha. The central prong would therefore represent the enlightened Buddha families. 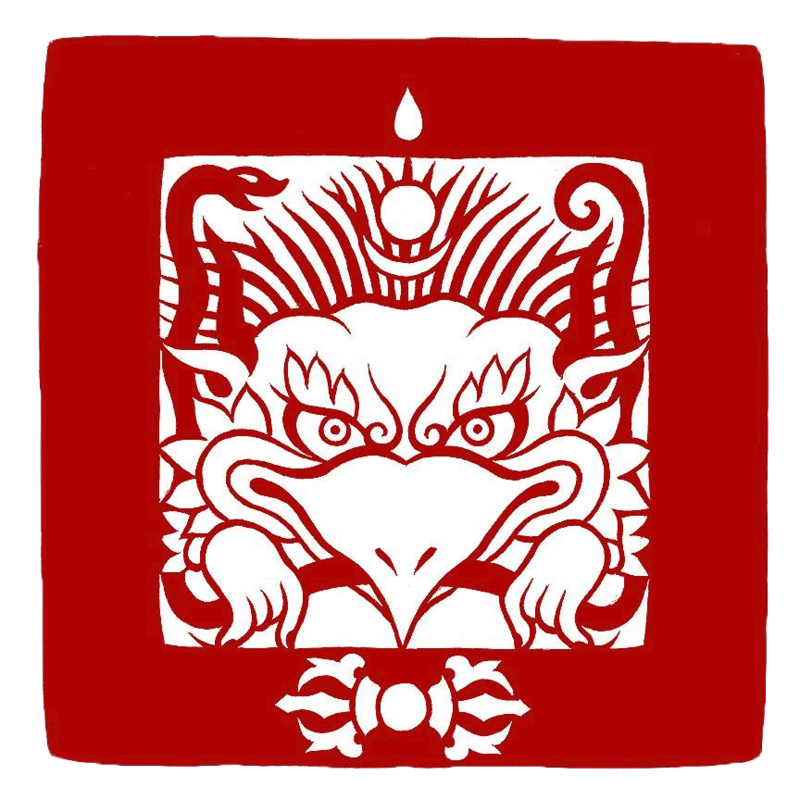 In the Nyingma tradition, the nine prong vajra can also symbolise the complete perfection of the nine yanas. These phurbas are not available elsewhere and we only ever commission a handful of pieces. They are truly unique works of ritual art. Tip: If you notice rust appearing on any iron ritual item, simply use a toothbrush (used for this purpose only) to gently apply olive oil to the affected areas and then remove any residue with a soft cloth. For more stubborn areas you can simply use wire wool. This works wonders and will not harm or scratch the metal.